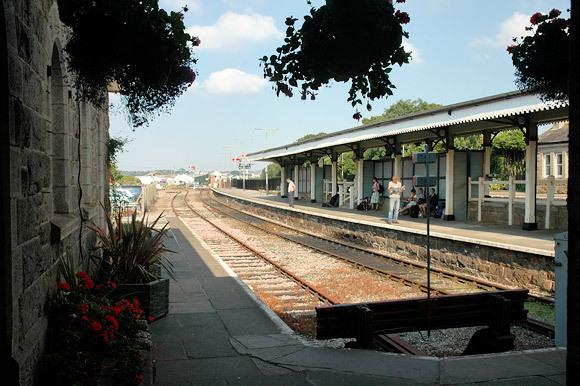 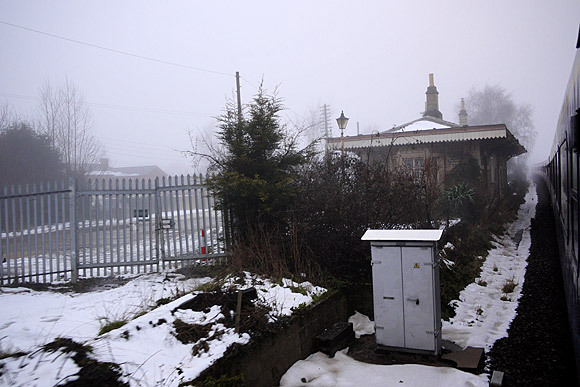 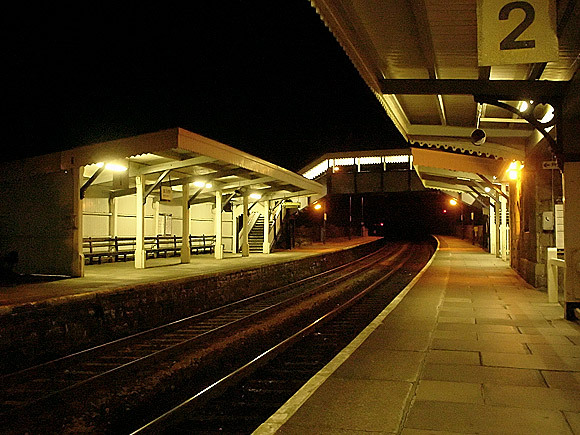 Although it’s a station on the busy main line from Paddington to Penzance in Cornwall, St Erth retains the air of a Victorian country junction. 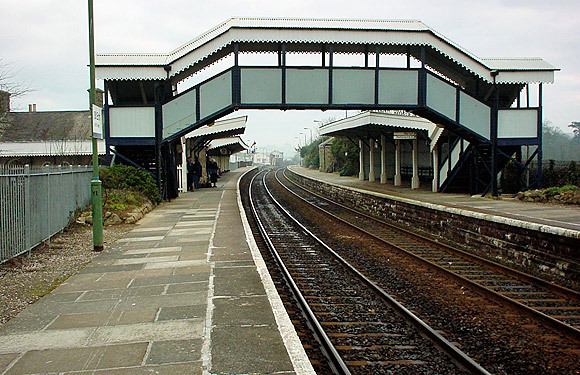 The junction for the charming four mile long branch to St Ives, the station retains most of its original features, including fine wooden canopies, a covered footbridge and a substantial booking office. 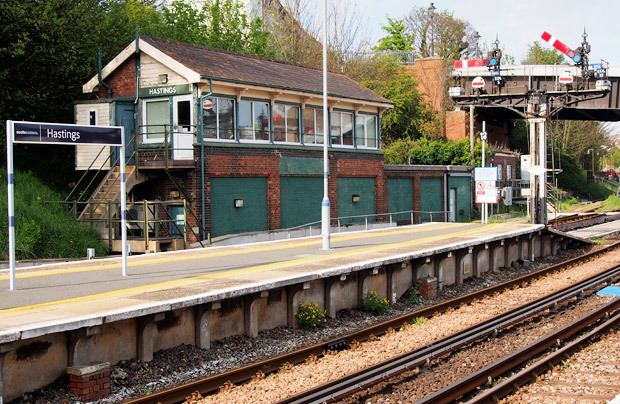 Although the nightly milk trains to Kensington Olympia went in the 1980s, the station still has a full set of semaphore signals controlling train movements, and there’s even a garden on one of the platforms. 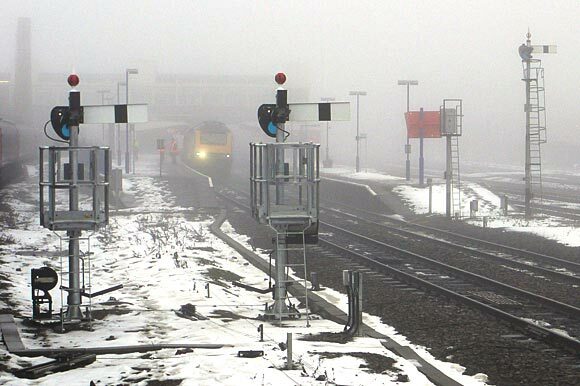 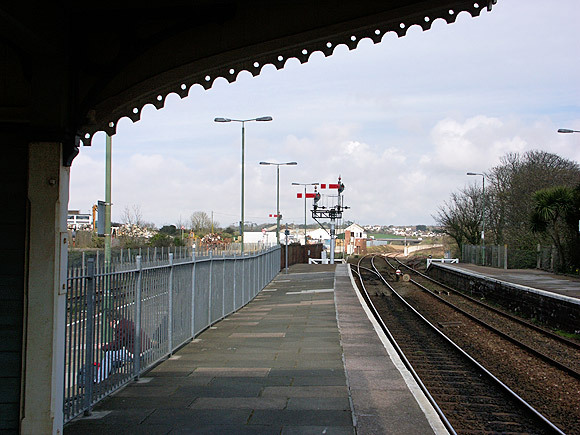 The St Ives branch train runs from the platform on the left (behind the railings) and you can just make out the signal box in the distance behind a fine pair of semaphore signals.